its a nice specimen. i think its collected one from the wild? sir, im venkata pavan from visakhapatnam, andhra pradesh. i have bonsai varieties like ficus, brazillian rain tree,murraya paniculata,jade, triphasia tripholia, acacia leucophloea, to name a few. lets be in contact. mail ur phone number and address to pavan_venky2002@yahoo.com. 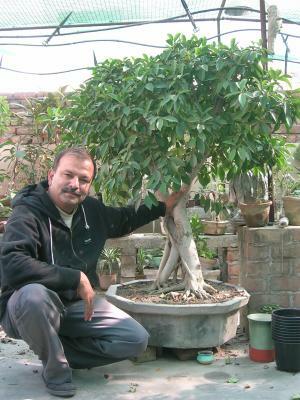 i have bonsai experiece of three years and my age is 22yrs. Somthing....devine/pious/spiritual...no words to explain..I am speachless.... very cool and excellent...!!!!!!! !